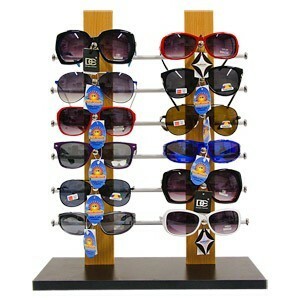 Brand new sunglass display for counter tops, this is a low priced nice looking display. Just $32 each. This model requires assembly.